Composting is one way of saying that you are recycling biodegradable wastes by turning them into fertilizers. Thinking along these lines, one can see that composting is a highly cost-effective means of sustaining your plants. Composting can be done in an industrial scale to a sub-urban home scale. Anyone can do it. Both methods can be employed at home in a small scale level, however a lot of people favor bin composting over the former because they get quicker returns. These are several ways one can do composting and the two most popular methods are the German mound composting and bin composting. Below is a brief overview of what German mound composting and bin composting really is. 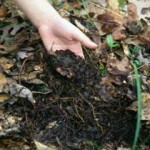 The layers of compost in varying degrees of decay provides for a different period of breakdown and release of nutrients. Usually, the gradual breakdown of the compost takes about four to five years over which plants can have a slow but steady supply of nutrients. This method is good for fertilizing plants like strawberries and courgettes and it is a good way of disposing of garden wastes. The German mounds as it has been said are made of layers of decomposing wastes and compost. There’s no covering so worrying about the smell of decay can be a problem if you place it close to your home or to your neighbor’s home. When thinking about starting one, place it away from anybody’s home so that the smell won’t be a problem. You do not get immediate returns with the German mound since it may take awhile before the top layers completely breakdown and ready for use. This would be usable perhaps after a season of waiting, so in the meantime you can just buy another fertilizer. However, after that wait you are also left with lots of available fertilizers that can be used slowly until the supply runs out which would be a long time still. Bin composting is almost a similar process only that you do not dig a hole for your compost. Instead, you mix them in a container or bin, hence, the name. You can either buy a bin or make one. Usually bins that are being sold are cylindrical in shape, yet you can make use of wood and make a square enclosure. Just make sure that you can turn it upside for aeration purposes. However, there are high-end compost bins that have an automated built-in tumbling system to shake the contents of the bin to aerate its contents thereby aiding aerobic bacteria in doing their job. With a compost bin, you can actually control the environment where aerobic decomposition occurs. Even if your bin is not automated, you can set a chain of events to happen that would lead to a more rapid process of decomposing. Furthermore, you do not have to worry about the smell because you can carry it far from your home and also you do not have to worry over accidentally stepping on mounds of decaying compost because the contents are kept away in a bin making your place more sanitary for other purposes. You also do not have to worry about animals digging away into your compost. 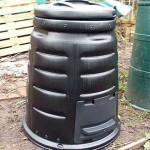 Composting is truly a very cost-effective yet very efficient means of sustaining your garden. Before starting on one, consider the type of fertilizer that your plants will need. Will they need it immediately or can they be sustained slowly? Also, check if there are policies against composting in your area.